Dorians Challenge is glad to announce Scaffolding Solutions as major sponsor of Dorians Challenge for 2017! Following the success of Dorians Coastal Challenge where Scaffolding Solutions was official sponsor, the partnership is now further developed with the pioneers in the scaffolding industry in Cyprus set as major and name sponsor of the third Dorians Challenge obstacle run. 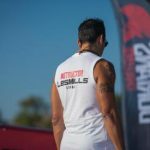 This strategic partnership brings a number of benefits to both parties and many new obstacles and challenges to Dorians’ Challenge participants and fans. The agreement is also in line with Dorians Challenge mid-term strategy for international expansion as well as the set up of a permanent and contemporary obstacle course and training facilities in Nicosia, Cyprus.